When teachers attend one of Folger Education’s Shakespeare Set Free workshops, they are introduced to instructional strategies and activities for their classrooms that are designed to help students engage with Shakespeare’s language, build confidence in their ability to read and make meaning of the plays, and have fun while doing so. Teachers actually do the exercises with a Folger facilitator that they will be doing with their students in their own classrooms. They work with activities from the Folger toolkit so they are prepared to use it to support their work with students. There is also half-day workshop for teachers who want to integrate technology with their teaching of the plays and sonnets. Recently, Folger Education began offering a three-hour Shakespeare Set Free workshop that helps teachers get started with introducing Shakespeare’s language to students. For Folger Education, working with teachers presents opportunities to see dedicated, talented, and caring teachers come together to explore Shakespeare’s writitng in ways that will help them and their students get more out of their experience with the Bard’s work. Facilitators often report that at the end of a workshop with teachers, they feel grateful to know that students are in classes with such terrific teachers. What kind of workshop experiences have you had with teaching Shakespeare? 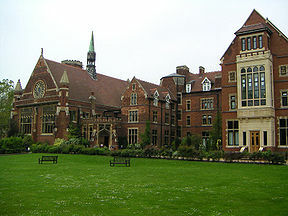 Bob Young and I were invited to speak at the Cambridge Shakespeare Conference: Sources and Adaptations from September 9-11 at Homerton College, part of Cambridge University. In our presentation, part of “Teaching Shakespeare in America,” we demonstrated some of the innovative approaches to teaching Shakespeare that we have developed. Shakespeare’s source material: active approaches for students – a participatory panel session with Perry Mills, Rob Smith and Jane Coles, editors of volumes in the Cambridge School Shakespeare series. Chaired by James Stredder. Creative approaches to Shakespeare in the classroom – the use of a variety of art forms in the classroom, in order to ‘recreate’ and ‘reinterpret’ Shakespeare’s texts (based on the Platonic notion of Ekphrasis). 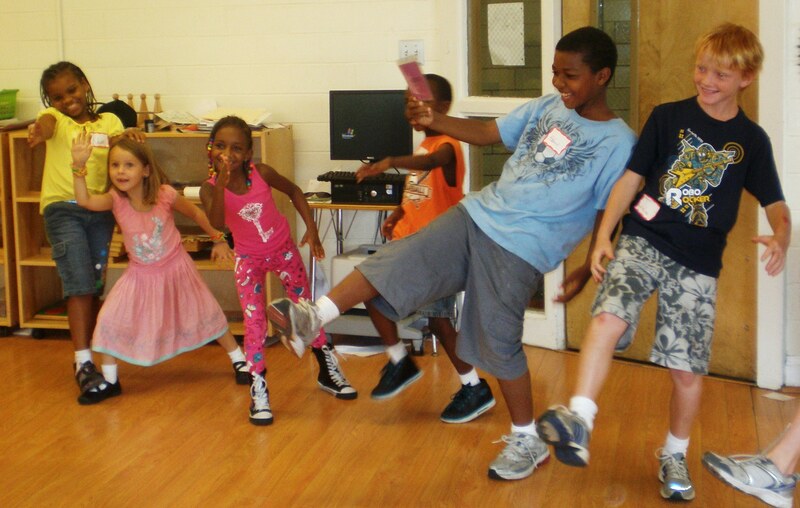 Play out the play: Active approaches to Shakespeare with the under 12’s – led by Sarah Gordon, Artistic Director of The Young Shakespeare Company. Teaching Shakespeare in America: theatre companies and young audiences -the Education Department of the Tony Award-winning Oregon Shakespeare Festival (Joan Langley & Kirsten Giroux) and RSC Education in New York City (Tracy Irish, Education Programme Developer, RSC) and John S. Kuhn (PhD Graduate Student, Ohio State University). Shakespeare for non-English speaking teenagers – a workshop led by Lucia Garcia Magdali and Antonio León Sendra, University of Córdoba, Spain. Some of the other highlights of the conference were performances of “I, Caliban,” a one-monster interpretation of The Tempest, “Hamlet House of Horror,” and “Mamillius,” a sequel to The Winter’s Tale. We look forward to participating in the 2012 Worlds Together Shakespeare Conference in London. Yesterday was our Theatre’s first rehearsal for Othello, where the non-Production staff of the Folger gets to learn what the upcoming production’s concept, design, and themes will look like. 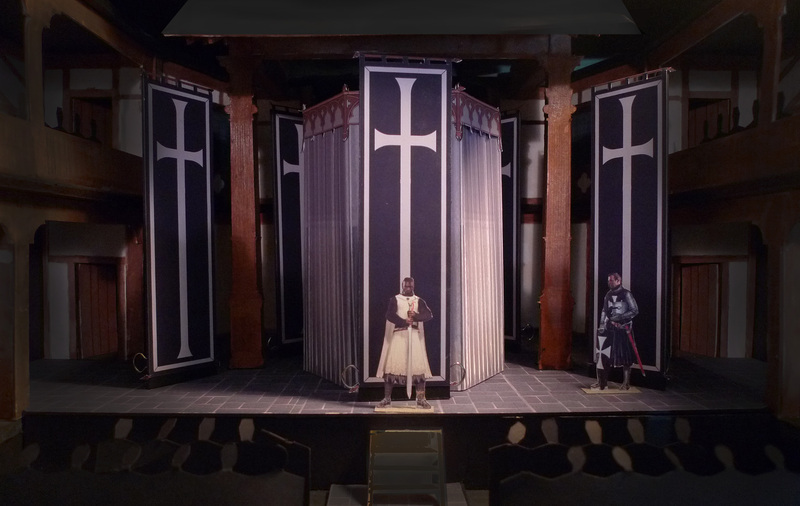 Set Rendering for OTHELLO by designer Tony Cisek (c). We can often see more of ourselves in our history than in a reflection of our present. This will not be a “modern-setting” Shakespeare where the men wear business suits and the women wear heels. Rather, the play will be set during the crusades of Richard the Lionheart. Historically, Cyprus was taken by the Christians by 1203, and would have provided a good resting point for an idle and restless militia waiting for their next assignment. Instead of looking at the play through a lens of racial prejudice, Richmond is more interested in the religious divisions between Christians and Muslims then and – in a way – how those divisions look now. I think it is incredibly interesting when art imitates life, but the “mirror up to nature” does not have to be an actual reflective surface showing us ourselves exactly – rather, this mirror can be a curvy, colorful fun-house mirror that shows us ourselves as we could be, or our perceptions in a different way. UPDATE! Folger Theatre will be keeping a production blog of the behind-the-scenes process, helmed by actor Louis Butelli (playing Roderigo). Check it out HERE! What sort of themes are you able to discuss with your class through Shakespeare? Which plays are the richest for this kind of discussion? Tell us in the comments! Ralph Fiennes is taking on the role of Prospero in The Tempest. As you may remember, Fiennes plays the role of Voldemort in the Harry Potter movies. According to an interview he did for BBC Radio 4’s Front Row, “He hopes young Potter fans, who are not usually interested in Shakespeare, could be drawn to the play based on his past experience of moving between film and theatre.” He wants young people to understand that there is “an expressiveness, an extraordinary elasticity of expression in Shakespeare which is thrilling to me and I hope other people find it thrilling.” Fiennes isn’t the only actor who has appeared in popular films and then done a Shakespeare play. And he may not be your favorite. For me, Sir Laurence Olivier’s King Lear (1984) was among the most moving I have ever seen on film. For live performance, I would have to say that Sir Derek Jacobi’s recent portrayal of King Lear was heart-wrenching. So, what actor have you seen in a Shakespeare play who gave a memorable performance? What play and what role did he or she perform? What was so memorable about the performance? This afternoon, Lucretia asked me if I knew of any audiobooks of Shakespeare’s plays for kids. One of this year’s Shakespeare Steps Out teachers had asked for recommendations for the listening stations for students in her class. 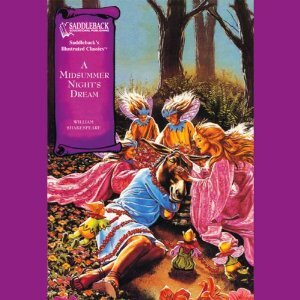 When I was a kid (and I think it’s been well-established that young Caitlin had more than a little Shakespeare in her life) I had a favorite audio book on cassette tape of A Midsummer Night’s Dream which went with an abridged graphic novel of the play. The internet can be magical, and that book (and audio recording) and I have been reunited. However, it is with great disappointment that I find that none of the original text is used in this series. Yes, there are a dozen plays in this series of Illustrated Classics, but they use “modernized” language and occasionally bungle up the story (click on the sample of Hamlet if you don’t believe me!). So at the moment, I have failed my colleague and the SSO teacher. I would imagine that there could be some abridged Shakespeare in audio out there somewhere, and I would hope (because I am biased) that it would come from the Shakespeare: The Animated Tales texts, as those are wonderful abridgements with true text. If you’re up for the full play on audio, you can’t beat the Arkangel’s fully dramatized recordings. But what if you want only 30 minutes for kids? Where do you turn? Do you have any suggestions? Tell us in the comments! The weather on the east coast has been particularly nasty this week. The wind blows, the lightning cracks, and the rain spit-spouts onto every surface. Soggy socks and gray skies can lead to bored students, though, but with a little help from Bill’s Buddies, I think I’ve found a way to make the weather more fun! The 2009 Bill’s Buddies show was all about how Shakespeare used the power of his words to create scenery, setting, emotions, and even special effects! THIS HANDOUT is one of my favorite scenes of theirs, in which they introduce the power of dynamic words by creating a raging storm using only words! I’ve set it so you might share it with your class as an activity with 4 helpful volunteers and the whole class’s involvement! What is your favorite “Special Effect” in Shakespeare’s plays? How would you share that with your class? Share in the comments, please! Although I have taught Shakespeare on the college level for many years, I had never considered directing a play until RiverTree School asked me to direct their end-of-year Shakespeare play. 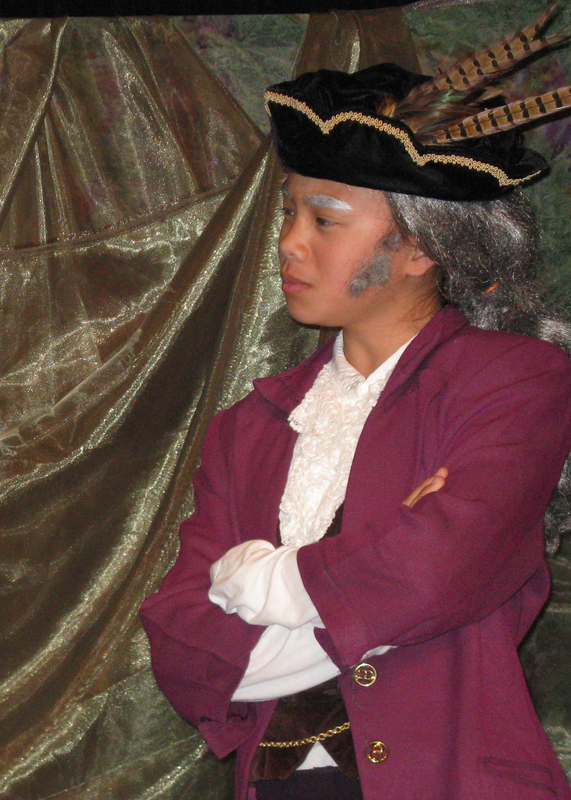 I quickly learned that two of the most essential elements to possess in directing a Shakespeare play for grade school children are passion and patience. Passion for Shakespeare is contagious. If the children—and their teachers and parents—see the passion you have, they will not only be able but they will be eager to share that passion with you. 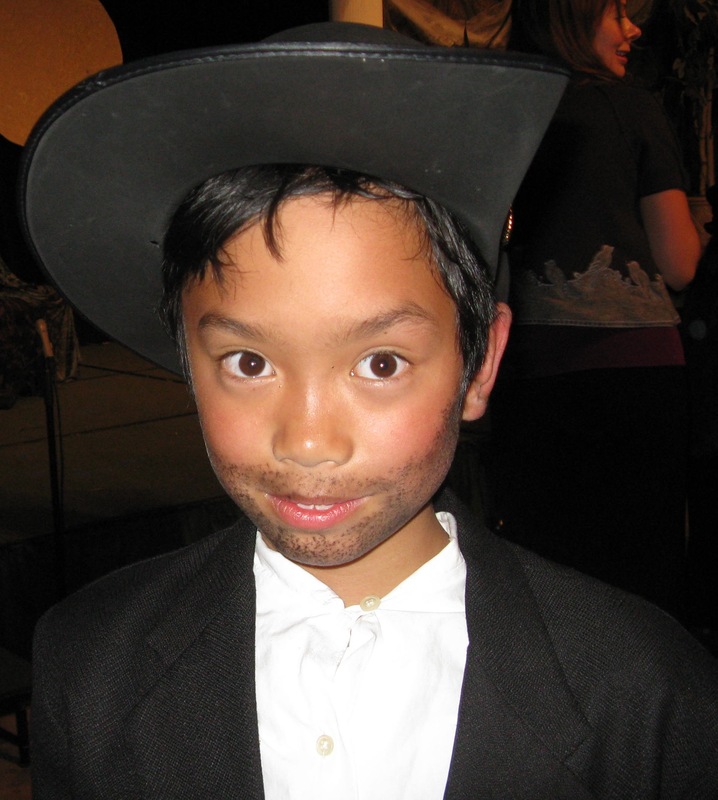 The popular impression that kids are reluctant to engage with Shakespeare is entirely false. With the invaluable help of their teachers, these kids were as far from “creeping like snail unwillingly to school” as can be imagined! Patience is essential because the process can be lengthy. It takes time for the play to come together. The children need time to study the story, to learn their lines and their blocking, and to learn to project their voices without shouting. While they are learning those, they are also starting to understand more about the characters they are enacting and the way those characters relate to the others on stage. But none of that comes in a day. The kids and I had an enormously joyful time engaging with the material. 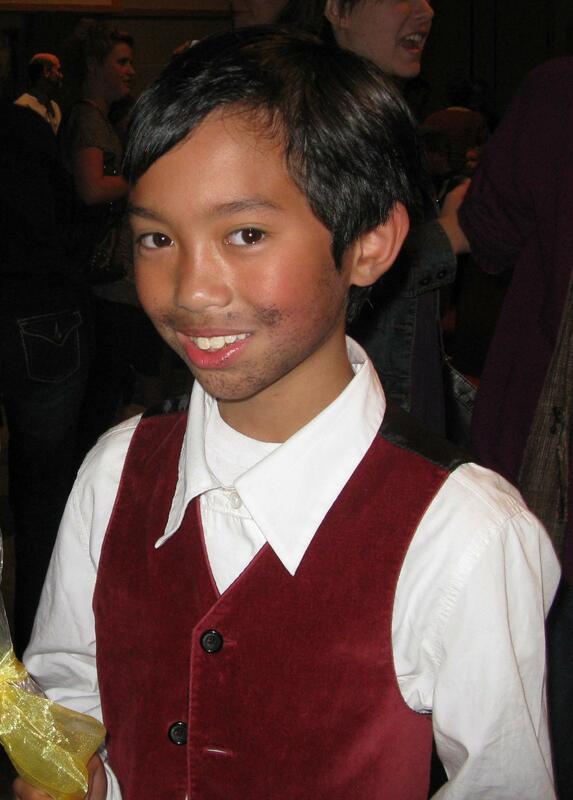 Directing grade school children in a Shakespeare play was unquestionably one of the most profound ways of engaging with Shakespeare that I have ever experienced. Keith is a Professor in the Department of English at Northwestern College, and the author of Bardfilm: The Shakespeare and Film Microblog. You can see Keith featured in this month’s Teacher to Teacher segment on our monthly BardNotes e-newsletter, as well as Margaret in our first ever Student to Student video, below.